In order to translate our text we are going to use the gettext module. The gettext module is basically a wrapper for the GNU gettext utility whose documentation can be found here. 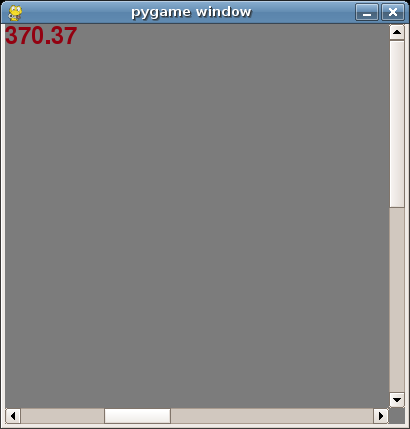 The next step is to generate the Portable Object Template file using the command line gettext utility. If you are using Linux or OS X this should be no problem and gettext will probably already be installed. If you are using Windows the tools are available as .exe files from the GNU gettext FTP or this gettext for Win32 sourceforge project. 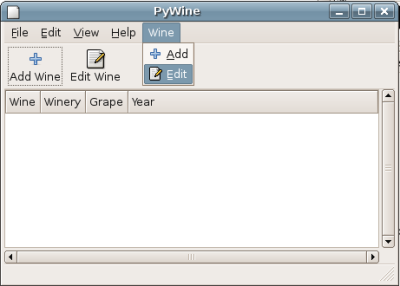 In this tutorial we are going to extend our PyWine application to allowing you to edit the items that you have added to the list and save an load the wine lists you create so that you don’t have to keep entering them in all the time. 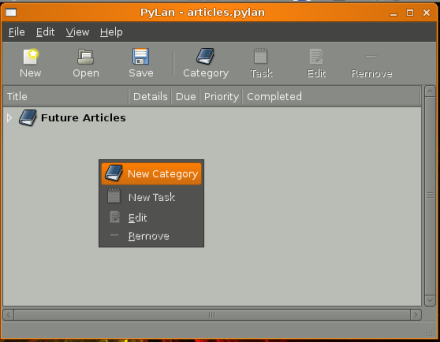 Make space for the Edit button by selecting the toolbar and settings its size property to 2. 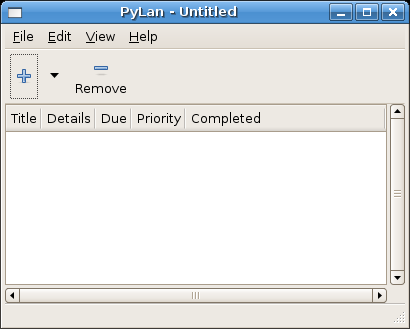 Add a Toolbar Button in the newly created empty space. Call the button btnEditWine, set its label to be “Edit Wine”, and its icon to be the stock Edit icon. Next add a handler for the clicked event. We’re going to change the menu up a little bit, instead of a menu that says Add | Wine, we are going to set the menu up to read Wine | Add and Wine | Edit. Do this just like we did in the previous PyWine tutorial and make the Wine | Edit clicked handler the same function as your btnEditWine button’s clicked event handler.